We’ll see few tips on how to optimize WordPress website in the article. 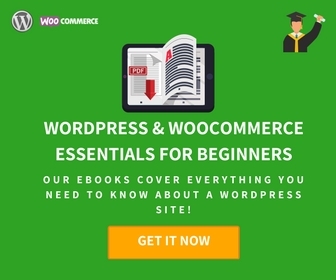 As you know, WordPress is one of the fastest platforms to manage your content, no matter how many extensions you add you your website or much much is your database size. It has been developed in a such a way that it carves ways for a lightweight and swift website. Now, there are a number of reasons you can end up reducing the performance of your website. Few of them can be unworthy plugins, under-performing hosting partners, unwanted files in the database, etc. Why do you need to optimize WordPress? Main reasons for Slower Website. 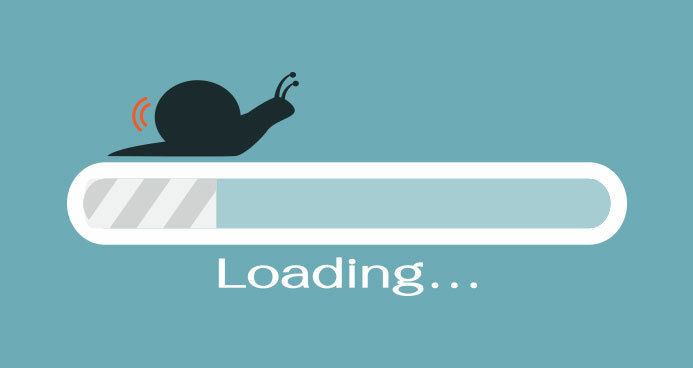 A website’s performance is measured in terms of speed or load time. And this very much impacts the user experience on your website. Studies suggest that relatively long time of loading leads to the reduction of traffic, leads and sales. 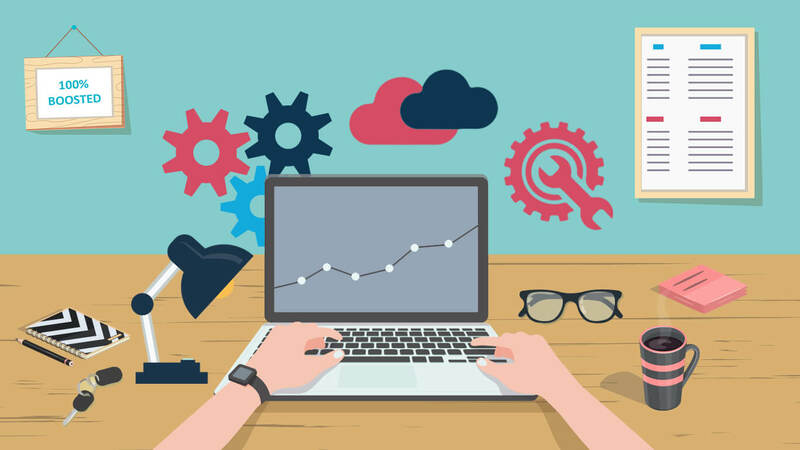 There is high chance that your site loses its ranking due to the reduction in traffic and give life to other SEO issues. In case in you own an e-commerce store, make sure that the customers reach to the product at the nick of the time. Within a slight increase in loading time from before, your customer will end up being on a different website. And I don’t think you want to redirect your reliable customers to your rival’s website, which is optimized to its best. Greg Linden one of the Amazon officials discussed during one of the presentations that how only a 100-millisecond delay could lead to revenues of the online company dropping by 1%. Based on Linden’s disclosure, increasing page loading times by just a fraction of a second would cost Amazon $745 million a year in lost revenue! This shows the importance of faster web page loading. 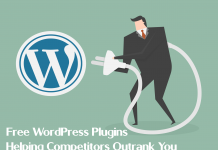 Hence optimizing WordPress has a lot to do with your business. When you are diagnosing your site’s loading speed, the first thing to look for is your web host. Their response time is a vital feature. Check how quickly your server responds to your request. No matter whatever you do to boost your optimize WordPress if your web host is slow, your website is slow. Your web host is somehow responsible for your site’s performance and acts as the foundation of your site. Further, you should check for the hosting space, which should be enough and above your website maximum requirements. If you are confused about choosing a good web host, we recommend you to go with 000webhost.com. It has been giving this free service for the last 14 years! The closer your hosting server is to your potential audience the better performance can be expected. For instance, if your potential audience is in the USA and if your server is in Australia, it might take a longer time to get responses to your requests. The logic behind it is quite simple, the information has to travel more to reach your visitors. If your server is already far from your potential visitors, ask your web host to move your files to a closer server, or search for a web host located nearer to your visitors. At present one of the most omnipresent hosting servers are provided by Cloudways or get in touch with the Best Hosting solutions. If you haven’t updated your software or plugins, there is a high chance for your WordPress to be slow. That is the reason why WordPress pushes constant releases and updates. So do get your WordPress website updated with latest major updates. You need to keep few things in mind while updating your website. The developers have been regularly fixing bugs and performance issues to keep your WordPress site at full power. That being said, utilize each update smartly. WordPress offers you tons and tons of free themes and designs. However one has to choose the best theme by judging the overall aspects of performance, design, ease of integration etc. Some themes contain complex coding that can slow down your website. Some of the tips for finding out the speed of any theme is to run the demo website through a speed checker (It should be less than 3 seconds maximum). Another tip is to check the total file size of the theme (ideally it should be less than 2MB). Also, check how many HTTP requests the demo site makes, it should be preferably less than 60. You can also check the detailed article on 12 Best WordPress eCommerce Themes 2018. Caching enables you to store your website data in your visitor’s web browser. This will reduce your websites loading time significantly, for returning visitors on your website. This is done by fetching all the previous data obtained from the server during their first visit to your website. So you can add a caching plugin for this purpose. There are many caching plugins that can do the job for you. You can Improve Site Performance with WordPress Caching Plugins. The first thing you need to realize that you don’t need to be a WordPress Expert to optimize your website. You can reduce the loading time of your website pages by following simple hacks discussed in this section. These simple steps are going to help you optimize your WordPress website in really less time. WordPress constantly come up with minor and major updates. The motive of such updates has always been a more secure and better-performing WordPress. These updates are also aimed at making WordPress an advanced platform. So you can expect a more optimized version with a new release. Minor updates are quite common and released in response to small fixes to bugs and adding small features. 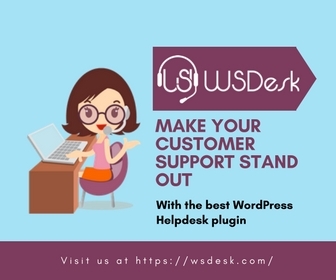 You should follow WordPress Development Blog and keep yourself up to date with the latest updates and response to any update which will boost the optimization of your website. In addition to this, the theme you are using and the extension installed to your website should adhere to their latest updates and compatibility with the WordPress version of your website. Synchronization between the WordPress, the theme and the plugins play a vital role in the optimization process. What WordPress does is it shows one entire content on one page. And readers do love such posts which have it all on the same page. They expect a well explained and deep content. This improves the average time visitors spend on the pages of your website. But such pages contain a lot of infographics and images which can take a lot of space. This large page will now a slightly longer to load. In this situation consider adding excerpts in the feeds. Or you can create a page with a brief introduction and a link to the main page. 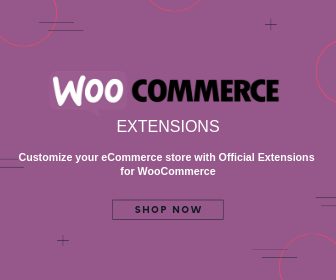 Here is an example, which takes you to different pages with collectively explain the setting up of a WooCommerce store from scratch. To enable the showing of summary in the feed, go to WordPress Dashboard > Settings > Reading. Then select summary as the display option. Once you select this option, the feed will show the denoted number of recent posts with the title and their summary instead of the entire article. If you own a website which has the most responsive audience, or you write on topics where your audience needs to comment to contact you, your comment section can add a long tail to the page. And nowadays when people can add images, .gif and videos as comments, that particular page will eventually load slower. To save yourself from such situations you should immediately split the comment section into pages. Just like gmail lists the e-mails in multiple pages and shows only a few at a time. To achieve this feature of WordPress go to WordPress Dashboard > Settings > Discussion to enable breaking of comments into pages. You can further customize this by adding the number of comments per page and the order of display of comments. For example, you can choose to show the last 50 comments in latest first order. A Content Delivery Network acts as a static cloud distributor of your contents. This service is usually provided by your hosting partner. As we’ve discussed earlier, that the location of your server can affect the loading speed as in the example, if your web hosting company has its servers in the United States and the visitor is accessing your website from India, the user experience a slower loading of pages. This can reduce the flow of traffic from a certain portion of the world. To get rid of this, hosting companies provide a cloud storage and stores static components of your website and reduce the loading time significantly. Consider the example of Cloudways once again. It has servers in all continents except Antarctica. So, what its CDN network does is, all of its servers form a cloud network among themselves and store all the static contents which include scripts, images and style sheets of your website. They don’t store the dynamic parts of your website. Now, when you connect to CDN with your server, any visitor trying to visit the static section of your website will get an instant loading. Since the static data is stored with all the servers, the nearest server will respond to the visitor in all cases. This will reduce burdens from one specific physical server, eventually making the server fast within itself. CDN may cost you additional charges or can be free with selected hosting partners too. Videos can be the most memory consuming entity of a page. When you upload a video to WordPress it becomes a part of your database. In other words, you are now hosting your videos, just like the images in the media section. With every video added directly to your WordPress website will make your page slower and collectively your website slower. Other issues that you will face, when you direct upload a video to WordPress are Violation of allowable wavelength by your server, which may lead to extra hosting charges or discontinuation of hosting services without any prior notice. Further, videos uploaded to your hosting server will take unnecessary space in the backup files. Sometimes the size of backup files can be large enough to put a threat on its restoration capabilities. So to keep your backup files as light as possible by avoiding direct upload of videos. So to avoid such complications, you should go for third party video hosting services like Youtube, Vimeo or Dailymotion. This will eliminate problems related to bandwidth as your server is not hosting the video. In addition, you will utilise benefits provided by those video streaming services. That will add a great video streaming experience for your visitors and will not impact the loading speed. To add a third party video streaming service is really easy with WordPress. You must have heard about embed feature in WordPress. You can find the embed feature in the editor of the WordPress. You can do this by pasting your video’s Youtube URL in the editor directly. WordPress comes with a built-in video embed feature, so you can copy and paste your video’s URL directly into your post and it will embed automatically. 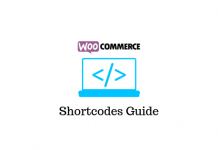 Or you can choose to add a shortcode available. There are tons of free themes available for WordPress. However, most of them are not optimized for better WordPress performance. It is important to pay attention to speed optimization whenever you are choosing a theme for your website. You’ll find all types of beautiful and attractive themes, but all that glitters is not gold. Test the themes on the staging environment and look for its performance before you choose them. We recommend using WordPress optimized themes like Themify, Avada, The7 etc. You can also read the article on ‘2018’s Best Selling WordPress WooCommerce Themes’. Images can bring more audience to your posts. Yes, it is true. But if these images are not optimized it can make your website slow. Non-optimized images are the main cause of speed issues for beginners site. Instead of uploading the images from your phone or camera, just edit it using a software to make it optimized for WordPress. As you know, if we upload images as it is, the image with large size will take longer to load. As a remedy, you can compress the images by multiple times and retain the quality, with the use of a quality photo editing software. Some popular image formats are JPEG and PNG. PNG is uncompressed whereas JPEG is a compressed file format. If your image has a lot of different colors then we recommend using JPEG and if it is a simple image, we recommend using PNG format. When you install WordPress you will have different pre-enabled options. It may happen that these settings like HTTPS requests that won’t be required or used by your website anytime sooner. All these options add to the loading time of your website. So, it becomes really necessary to spot these options and disable them. To make this task easier, you can use Perfmatters, which can help you in disabling unnecessary options like emoji, RSS feed, DNS pre-fetching, AJAX etc. It is one of the best caching plugin available on the market. This free plugin helps you to create a static HTML file. This acts like CDN. Just like CDN, the plugin will save some static files and will reduce the pressure on the RAM and the CPU. This helps in reducing loading time for all your static pages. Being more precise about the function of the plugin, the setting of individual cache expiration time becomes a lot easier with the plugin. Deleting these cached files are also very easy and you can disable cache for specific pages too. You get an SSL and DNS support with the plugin. Other features include zipCompression and minifying of HTML and CSS. Get more details on How Caching Plugins Improve Site Performance? Now don’t lose your revenue generated by your business due to a slow loading website. Go ahead and try out these simple tips to optimize WordPress and boost your website speed and performance. Test your website speed before and after trying these simple tips and you can witness the swifter version of your website in no time. Hope this article was helpful to you in increasing your WordPress website speed. Feel free to add more tips that are not listed here, that you found helpful in keeping your website super fast, in the comment section below. For more related articles, visit learnwoo.com. Next articleWooCommerce Product Variations – How to move Add to Cart button above Product short description?